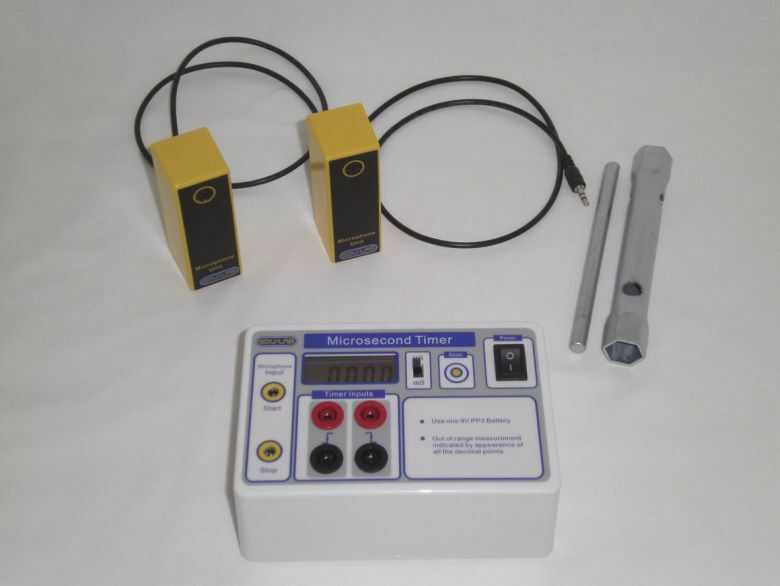 The Edulab Speed of Sound Kit is extremely simple to set up and use, and provides accurate and precise measurements for the speed of sound in air. What's more, the included microsecond timer doubles as a start-stop microsecond or millisecond timer, for use with light gates or mechanical switches in a wide range of other experiments. The Edulab Speed of Sound Kis comes with two condenser microphones (includingleads), to be placed a metre apart and used as start-stop signals detecting the passing sound wave, and suitable tools for generating the correct type of sound.